It's a new year and a new chance to get healthy. 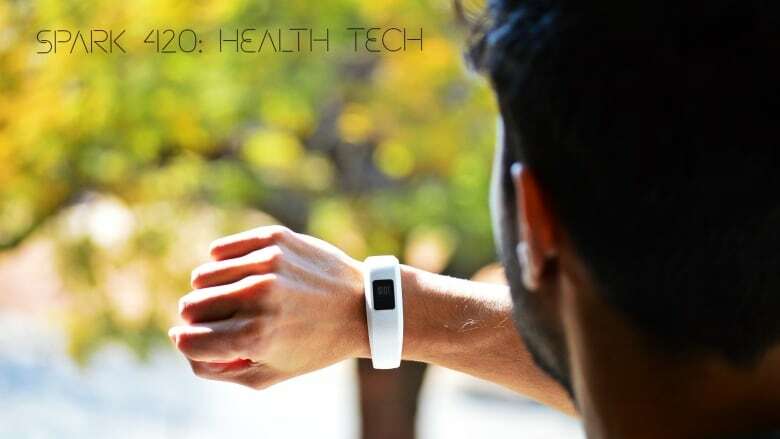 This week on Spark, a health tech show to help you out. How data-driven personalization is changing how people manage their own health. With the growth in wearable technology, not to mention smartphone apps, it's easier than ever to count steps, monitor heart rate and more. But do all those scores really help us understand ourselves and our health? Holly Witteman is an associate professor in the department of family and emergency medicine at Laval University in Quebec City. She also has type 1 diabetes, and now uses a continuous glucose monitor. Bill Buxton, design thinker and Principal Researcher with Microsoft Research, argues that designers need to spend more time to help us learn to listen to our bodies, not just pump out stats. Researcher Sheng Xu and his team have designed a flexible electronic patch, about the size of a postage stamp, that can measure blood pressure. It can potentially be used to easily monitor patients at risk of a heart attack. It also points to a future of non-invasive tools for continuous health monitoring. Wearable sensors are for more than just tracking daily footsteps. They can help with monitoring early signs of medical conditions. Rosalind Picard, from MIT's Media Lab, works in affective computing: designing systems that can read human emotions. Nutrition advice is often one-size-fits-all. But nutrigenetics, or nutrigenomics promises a more customized nutrition plan. Dylan Mackay is a nutritional biochemist at the University of Manitoba. Ahmed El-Sohemy is professor in nutritional sciences at University of Toronto, and the founder of Nutrigenomix which offers genetic testing for personal nutrition. We want to dig in on their research and differing views on this topic to help you make up your own mind.